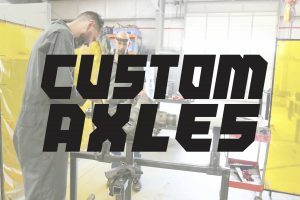 You know the kind of wheeling you do, and sometimes you need CUSTOM axles that go above and beyond the limited bolt-on options available elsewhere. That’s when you turn to Crawl King. Proudly build by EmWest Motorsports. 100% customization available, based on your specifications. Upgrades automatically offered on our axles that you can’t find anywhere else. Sure, stock axles and a few key upgrades will get most people where they want to go. Add a locker, a heavy duty diff cover and some chromoly shafts, and you can join your buddies on the trail. But when you start increasing tire size and horsepower, and add a little extreme wheeling into the mix, eventually those stock axles will buckle under the pressure. Crawl King Custom Axles built by EmWest Motorsports are your choice for top quality, hard-working performance axles. 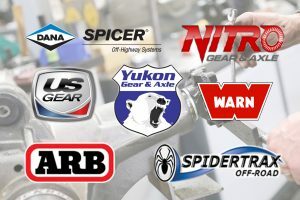 With multiple solutions available for your modified Jeep JK or JL, Bronco or Truggy, and replacement parts and accessories ready to go, we specialize in providing the best products for the price.